My friend Lindsey had a birthday recently. 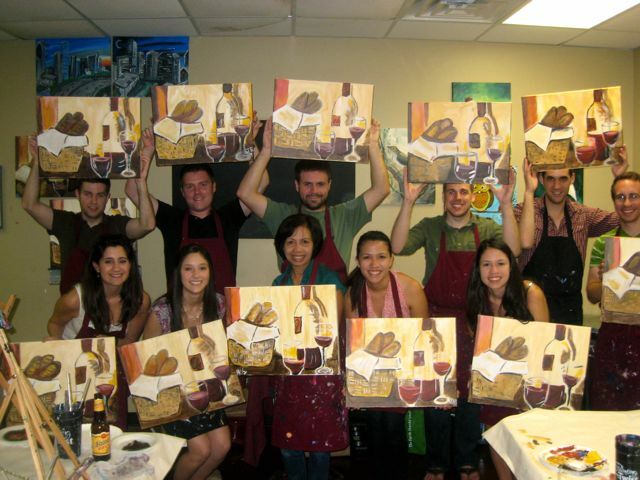 To celebrate, a bunch of us went to Painting with a Twist! Have y'all heard of this place? Basically, you bring all the food/drinks you want, and they provide paint and canvases and instruct you on how to paint a picture. SO fun! 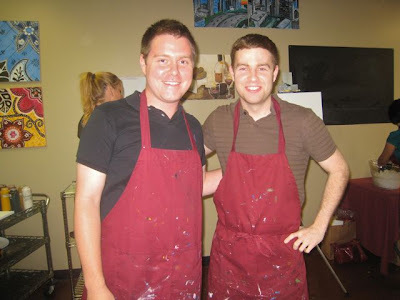 Look at those fancy aprons! 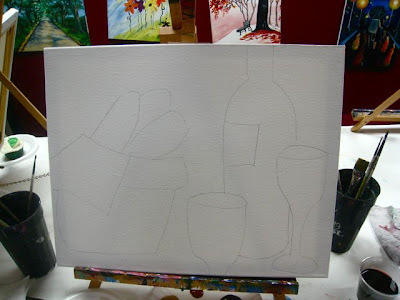 Then you paint, paint, paint until you have a pretty picture! 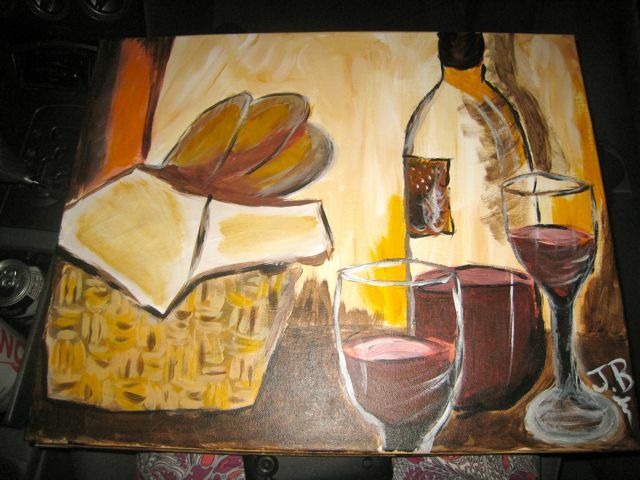 We painted a picture of wine and breadsticks. 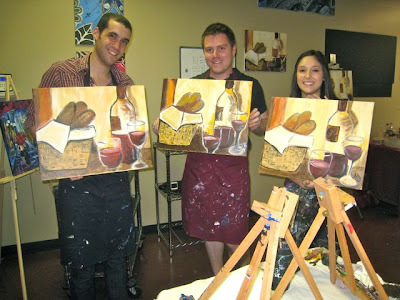 Didn't they turn out pretty well? I honestly though we'd go home with two really ugly "paintings," so I'm pretty proud of how well we ended up doing! 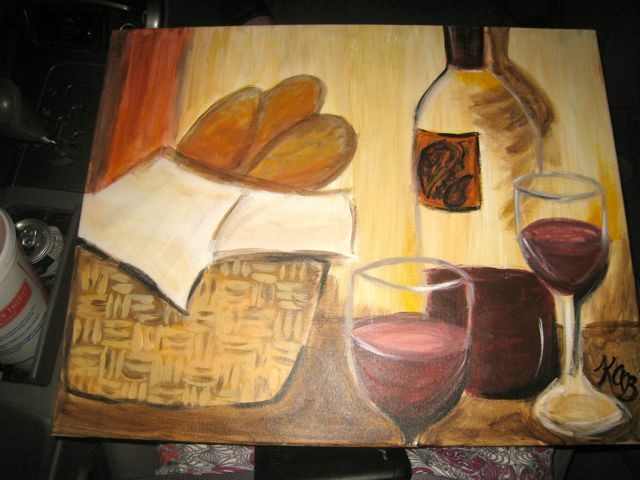 Now we just have one little problem... what the heck do we do with two paintings of wine and breadsticks? Any ideas? I've always wanted to go to a place like this. 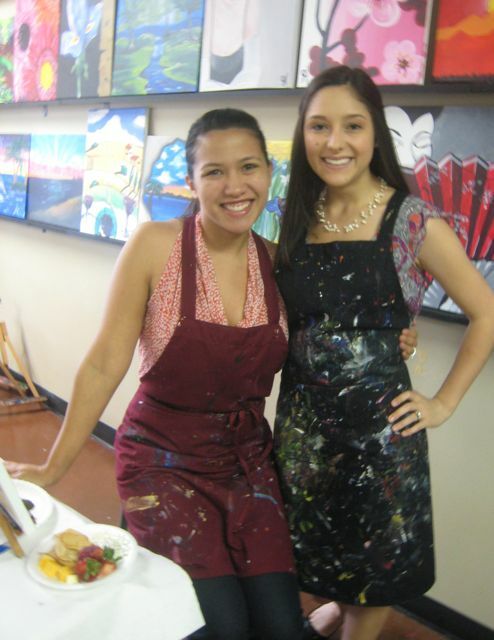 I think I've convinced my maid of honor to do it for my bachelorette party later in the year! You guys did an awesome job though, I'm sure my painting will be a mess! Maybe you can use them as Father's Day gifts?